I might learn how to cook yet with all this software of yours. You can't believe how much it has helped. I've had friends come over (I'm just a single guy with a dog - but looking for the right woman) and rave about the meals I prepared for them. It's not all that hard if you just follow the directions. In the end I have to tell them my secret, it's not talent - it's your software. 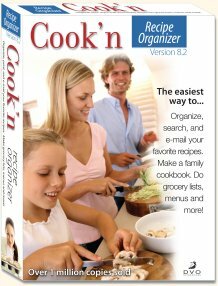 The Cook'n Recipe Browser software is included on every Cook'n CD. This software will let you browse, search, and print recipes. You can make menus and shopping lists. You can adjust recipe serving sizes and search the recipe database. The only thing that you cannot do with the Cook'n Recipe Browser is Organize your own recipes. To enter and organize your own recipes, you should purchase the Cook'n Recipe Organizer. 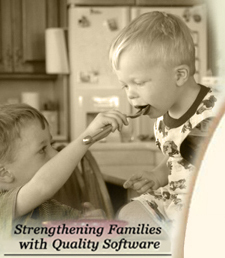 All of the Cook'n CD's are designed to work together as one. And, it doesn't matter in which order you install them. So, purchase several and start building your electronic cookbook library today!